Caldos is a poor, non-agricultural and moderate population desert world with no free-standing water, and over a hundred million, but not yet at a billion sophonts in size. 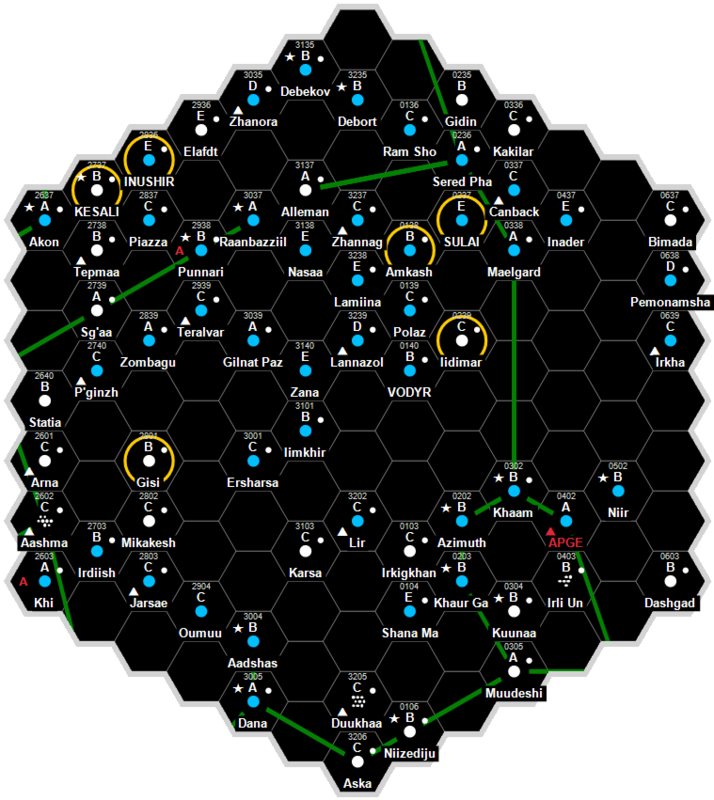 It is a Non-Aligned world dominated by human sophonts located in the Dpres Subsector of Trojan Reach Sector. A local raised unit of Caldos Desert Scouts was recently trained and raised. Major Marie Jones is their commander. Caldos is a poor, non-aligned desert world on the Sindalian Main in Dpres Subsector of the Trojan Reach. Caldos was settled by unofficial expeditions from Dpres (0915) following political and environmental upheaval on that world.